WHAT IS A NO-BAKE STRAWBERRY CREAM PIE? No-bake desserts are some of the absolute easiest desserts you can make. They don’t require any baking (as the name suggests) and most can be ready in just a few minutes. No oven, no complex baking strategy, just easy making. A no-bake strawberry cream pie is a delicious strawberry pie made with strawberries, heavy cream, cream cheese, and sweetener. The crust consists of almond flour and butter, and requires no baking whatsoever. These strawberry pies are perfect for a nightly dessert, family get-together, or spring/summer picnic. In 15 minutes or less, one of these delicious keto pies can be yours! In order to make one of these delicious no-bake pies, you’ll need to make sure to have the following ingredients ready to go first. After you have these ingredients on hand, you’re ready to get started! 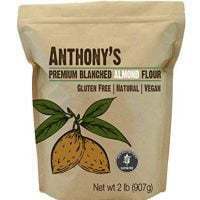 Begin by melting the butter [4 tbsp] and mixing with the almond flour [1 cup]. 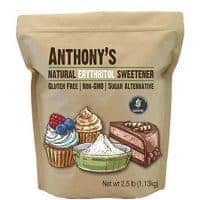 Spread this almond flour mixture evenly into the bottom of a 5×7 container (glass preferred) and mash with a fork, spoon, or spatula to create the crust. Using a high-speed blender, blend the strawberries [1/2 cup] into a puree. 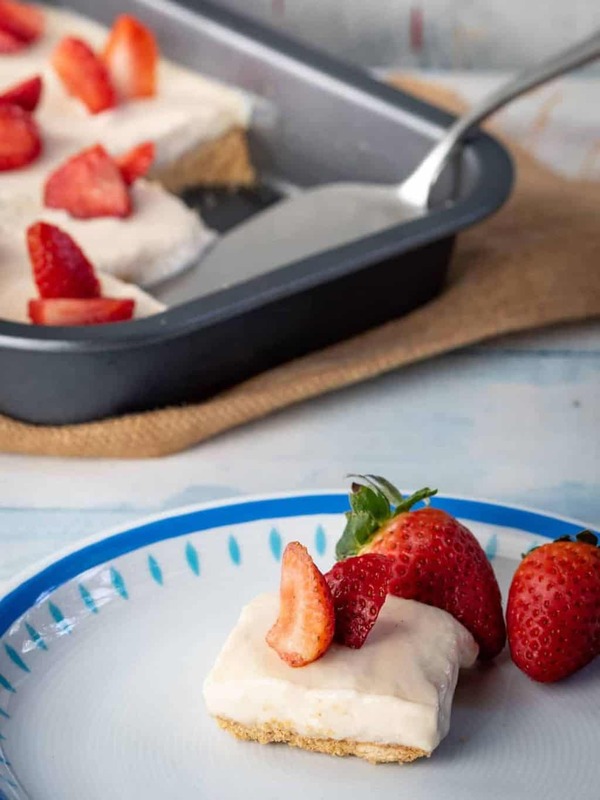 Whip the heavy whipping cream [3/4 cup], cream cheese [8 oz], powdered erythritol [1/2 cup], and strawberry puree together using a hand mixer or whisk until thick. Scoop onto the crust, distribute evenly, and place into the refrigerator. Chill for at least one hour before serving, then eat up! CAN I MAKE ADJUSTMENTS TO THE CRUST? Of course you can! Making any and every recipe your own should be not only perfectly acceptable, but should be a goal of yours. Here are a couple variations on the crust you can try if you’d like. Now before you say “but this is a no-bake recipe!” just take a moment to consider that you might in fact want a baked crust. It could (probably) still called a no-bake dessert since the strawberry filling isn’t baked. If you’d like to bake your crust, preheat your oven to 325˚F. Follow the first two steps of the recipe and place the crust into the oven. Bake for 10 – 12 minutes, or until golden brown, and remove from the oven. Let the crust cool fully or you the strawberry cream filling will “melt” and run. Some variations of no-bake strawberry cream pies call for graham cracker crusts. Obviously, store-bought graham crackers are a no-no on a low-carb or keto diet. However, that shouldn’t stop you from creating your own. 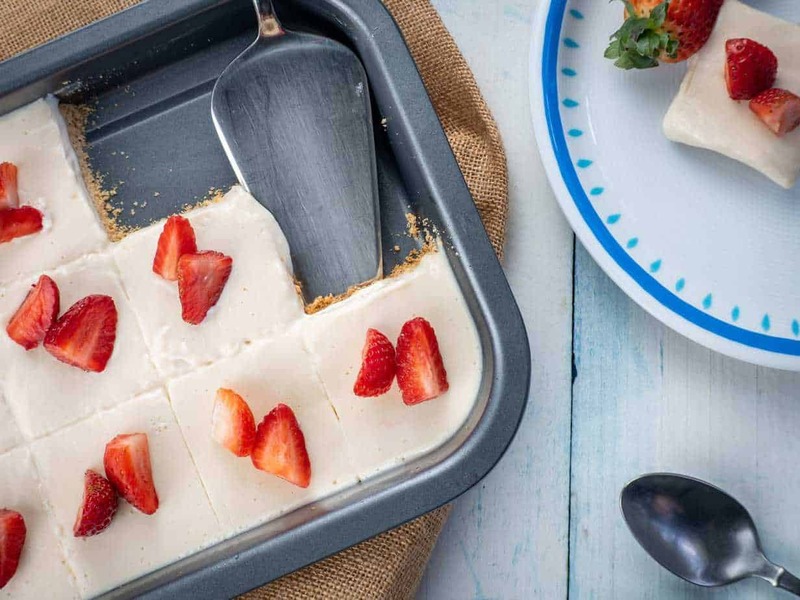 Borrowing from our Keto Graham Cracker recipe, you can easily make a graham cracker crust without hardly any extra effort. Using the crust ingredients outlined in the recipe, add 2/3 tsp cinnamon and 3 tbsp Lakanto Sugar-Free Maple Syrup. Mix well and spread into the bottom of the dish. If you’d like to bake this crust, use the instructions above. Voila! 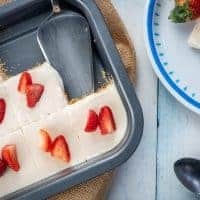 An easy graham cracker crust for your keto no-bake strawberry cream pie! 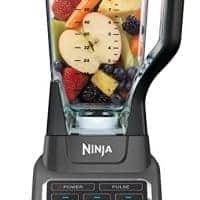 High-Speed Blender – A high-speed blender can make all kinds of mixtures that require mixing or blending so much easier. If you haven’t invested in one yet, there’s no time like the present. Similarly, a new blender isn’t necessary. If you have that old blender in the cabinet you’ve had since your college days, it will do just fine as well. Hand Mixer – We’ve said it before, but it’s always worth a repeat. A good hand mixer can truly change your life in the kitchen. Whisks and elbow grease is great, but a hand mixer can make short work of just about any mixing task. If you don’t have one as part of your kitchen utensils, there’s no time like now to fix that! Strawberry desserts are great for any occasion. With no need for baking, you'll have a wonderful keto no-bake strawberry cream pie in no time! Chill for at least one hour before serving, then eat up! Hi looks good but can you tell me what the calories and carbs are per serving please? We have updated the page to reflect the information you asked for. We used to not include this, but have since been trying to go back and update as we have time. Enjoy!